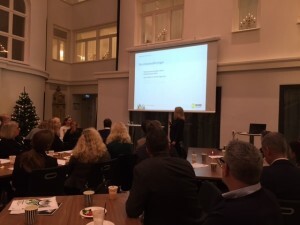 During a breakfast seminar at the end of 2015 Stockholm’s Chamber of Commerce presented a recruiting report that showed background checks on social media have become a common part of the recruiting process. This is something that we at CIP global executive search can confirm and support. For the seventh year in a row Stockholm’s Chamber of Commerce member and information gathering company, Bisnode, has assembled a report about how companies perform background checks on job applicants. It showed that internet searches and checks for a candidate’s activity on social media such as Facebook and LinkedIn have become a valuable source of information for hiring managers. The trend is clear and several colleagues in the branch have confirm that they conduct regular social media background checks. In 2008 1 out of 10 companies answered they conducted social media background checks and today the number has increased to 7 out of 10. As a candidate and an employee it has become quite important that you consider your personal brand before you post photos and articles on social media like Facebook, Instagram, Twitter and especially LinkedIn. As recruiters and companies examine the candidate’s information, it is of course equally important that one considers the context and background of such posts while maintaining a great sense of judgment, morality and a holistic view. Strong political or radical views, inappropriate images and the like will obviously be reviewed, but should be seen in context when reviewed during a recruitment process.